Cognitive behavioural therapy for insomnia (CBT-I) is a treatment that combines several individual strategies and techniques that have been found to help individuals sleep better. While it would be nice to have only one solution to everyone’s insomnia, over the years, it has become apparent that this is not the case. Various factors contribute to people being more at risk of developing insomnia, with it initially being brought on for many reasons, and continuing in people for several additional reasons again. Because of this variety, it is likely that the techniques that are most helpful in improving an individual’s sleep will vary too. What CBT-I aims to do is provide an all-encompassing treatment for your insomnia, including education about sleep, training in relaxation skills, practice in behavioural strategies, and an exploration into cognitive factors (your beliefs, expectations, assumptions and thoughts) and how they may be affecting the quality of your sleep. The CBT-I treatment also incorporates a resource booklet, with one component given at each session. CBT-I does work for people with chronic insomnia. In fact, CBT-I has so much research supporting its efficacy and effectiveness that it is now considered the first line of treatment for insomnia by the American Academy of Sleep Medicine! When compared to pharmacological treatment for insomnia (sleeping pills), CBT-I has been found to have similar improvements in sleep over a 2 to 4 week period, with a more significant reduction in time taken to fall asleep for CBT-I (Smith et al., 2002). On a long-term basis, CBT-I has been found to be much better than sleeping pills, with gains in sleep across treatment either being maintained or further improved up to 2 years later (Morin et al., 2006). In comparison, insomnia symptoms tend to return once sleeping pills are discontinued (Riemann & Perlis, 2009). CBT-I has also been shown to be effective in treating insomnia that occurs alongside other sleep disorders, mental illnesses and medical conditions, with additional benefits found in the other issues too (Edinger, Wohlgemuth, Krystal & Rice, 2005; Smith, Huang & Manber, 2005). Therefore, if we target sleeping difficulties through CBT-I in individuals with depression and insomnia, both sleep and mood are likely to improve (Ashworth et al., 2015; Manber et al., 2008; Wagley et al., 2012). CBT-I has been found to be most effective when delivered in four 50-minute therapy sessions over an 8-week period (Edinger et al., 2007). Each session is separated by two weeks to allow you to incorporate the knowledge that you have learnt, experiment with different techniques, and fine-tune the skills that will help you sleep more efficiently. Some of these techniques may be easy to you and provide you with immediate benefits, whilst other techniques may be more difficult and will take more time before the benefits become apparent. What is most important is determining in collaboration with your therapist what is likely to benefit you most on a long-term basis. The first session will always be a general assessment session, to ensure that the clinical psychologist gets as broad an understanding as possible of your sleep problems, including when they began, what brought them on, how severe they are, and what may be preventing them from getting better. At the end of your session, specific goals will be clarified and a treatment plan will be developed to help you to improve your sleep. The treatment sessions will involve education around sleep, talk about why sleep hygiene is overrated as a sleep strategy, and introduce the behavioural and cognitive interventions that have been scientifically shown to be most effective for sleep difficulties. They will also involve a thorough review of your sleep and how it is progressing across the treatment, with adjustments made to the treatment plan as necessary depending on what is and isn’t working. Any non-sleep related concerns may also be brought up, discussed and worked through, especially if it is interrupting your sleep or your capacity to engage in the treatment plan. Once clients achieve all their goals, the final session focuses on developing a self-management and relapse prevention plan to ensure the maintenance of gains going forward. Bookings are then made for follow-up appointments if clients find that this helps them to stay on track with their sleep into the future. The Australian Psychological Society’s recommended fees for a 46-60 minute session is $241. 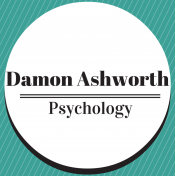 Dr Damon Ashworth offers a rate of $220 for a 50-minute individual assessment or treatment session. Dr Ashworth recommends booking in for at least four sessions, as this was the duration that was shown to significantly reduce depression and insomnia severity in his clinical trial (Ashworth et al., 2015). for an appointment on a Monday, Thursday or Friday. for an appointment on a Tuesday or Wednesday. If you live in Australia and have a Medicare Card you may also be eligible for a $124.50 reimbursement per session under a Mental Health Treatment Plan. A double appointment needs to be booked in with your General Practitioner (GP) to complete an assessment and determine your eligibility for a Mental Health Treatment Plan. If your GP agree that you are suffering from a clinically significant psychological condition (including insomnia), you will be eligible for up to ten medicare rebated sessions per calendar year, which means that the out of pocket cost to you per session is even less. After you attend the session, you will receive a receipt, and the $124.50 Medicare rebate can be claimed. A discounted or bulk-billing rate is sometimes also available to individuals with a valid Student Card or Health Care Card. Please talk to the reception team at VCPS or MSDC for more information.